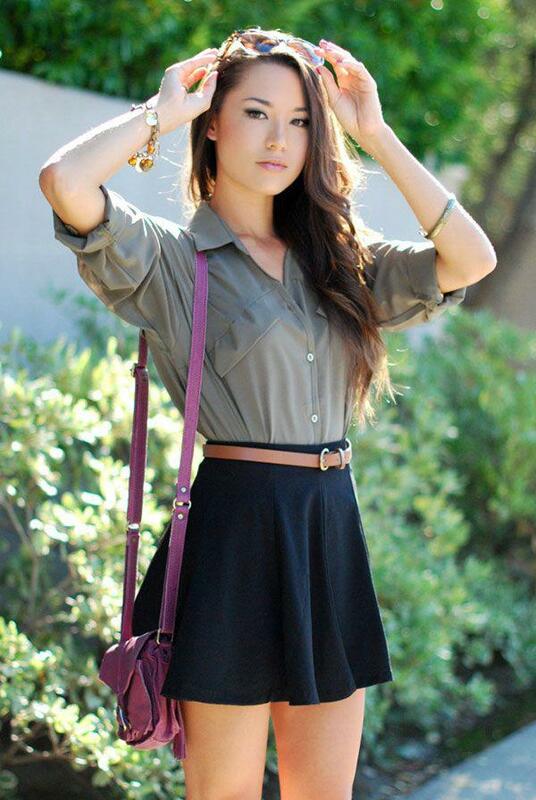 Skater skirts are the best way to spice up a plain, boring top. Skater skirts are the best way to spice up a plain, boring top. These best go with gladiator sandals and a contrasting belt. STORM REID AND LONNIE CHAVIS FLEX THEIR MUSCLE AT THE TEEN CHOICE AWARDS. Mix it with a mini skirt and these loafers. Show off your fun personality by wearing a funky egg print top. Celebrity Fashion Street Style : which street style look is your fave? ?